Point Grey is south of Georgia and Burrard, on the West Side of the city of Vancouver. 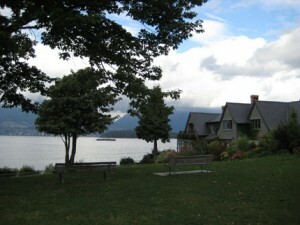 This community is bound by English Bay to the North, and Pacific Spirit Regional Park (the University Endowment Lands) to the West and South. The community houses a diverse array of individuals including faculty members from the University of British Columbia (UBC), young families, working professionals, students and retirees. You can find the majority of the shops and services in Point Grey Village, which is located between Discovery and Tolmie along West 10th Avenue. Comprised mostly of small businesses, Point Grey Village has a friendly smaller-town feel with a unique shopping experience! Changes Clothing & Jewellry Bar (4454 West 10th Avenue) – Voted Vancouver’s Best Consignment Clothing Store 7 years in a row, Changes offers amazing labels of new and like-new designer trends at very reasonable prices. Their staff are very knowledgeable and attentive – you will surely feel at home! Enda B. Men & Women (4346 West 10th Avenue) – Specializing in luxury designer clothing, shoes and accessories. Their collection includes styles from both established and emerging designers. Tenth & Proper (4483 West 10th Avenue) – This boutique offers beautifully designed and crafted clothing for women. Featuring collections from local, Canadian, and international independent designers and design houses. Michael McBride Menswear (4426 West 10th Avenue) – Smart casual and business fashions for the discerning urban man. A great selection of shirts, pants, shoes and accessories. Enflux-Style and Function in Living (4385 West 10th Avenue) – High-end design store with aesthetically appealing, functional and timeless tableware and home decor. Moricotta (4429 West 10th Avenue) – A unique variety of Italian pottery and other European kitchenware and decor. Kaboodles Toy Store (4449 West 10th Avenue) – Fun and friendly toy store with a serious lego collection. The kids will love it here! Upper Tenth Men’s Hair Styling (#104-4545 West 10th Avenue) – Specializing in razor cuts. Eliane Hair & Spa (4424 West 10th Avenue) – At this Aveda salon and day spa, you will find professional service from an award-winning team. They exclusively use the environmentally friendly line of Aveda products. Provence Mediterranean Grill (4473 West 10th Avenue) – This quaint restaurant offers “a visit to the South of France without the jetlag”. Be sure to try their delicious afternoon tea service offered from Monday-Saturday between 2:30-4:30pm – reservations are required and should be made at least one day in advance. EN Japanese Restaurant (4422 West 10th Avenue) – Creative Japanese cuisine prepared by a master chef using only the freshest ingredients. Burgoo Bistro (4434 West 10th Avenue) – Cozy international bistro specializing in heart-warming comfort foods. Choose from a selection of stews, soups, fondues and sandwiches. Some Kinda Pasta (4409 West 10th Avenue) – Quality pasta, seafood, pizza and steaks in a casual environment. If you have kids and love good food, this is a great place to dine. Dentry’s Irish Grill (4450 West 10th Avenue) – This neighbourhood pub boasts a good selection of burgers and 10 quality beers on tap. Pane E Formaggio (4532 West 10th Avenue) – A charming artisan cheese and bread shop with panini, pastries and a selection of gourmet foods. MIX the Bakery (4430 West 10th Avenue) – Artisan breads and pastries, savoury delights, desserts and organic coffee. Big City Cupcakes (4481 West 10th Avenue) – Satisfy your sweet tooth with a light, fluffy and moist cupcake made from only the finest ingredients. Gluten, egg and dairy sensitive options available. T Room Bakery & Kitchenware (4445 West 10th Avenue) – Featuring specialty teas, gourmet cakes, pastries, artisan breads, soups and sandwiches. Book in advance to experience their wonderful high tea service. Daniel le Chocolat Belge (4447 West 10th Avenue) – Exceptional chocolates crafted with Belgian chocolate making techniques. – Liberty Wine Merchants (4583 West 10th Avenue) – Offering a unique variety of wines coupled with knowledgeable service. You can spend a full day in this neighbourhood with the variety of interesting shops and cafes/restaurants, in addition to going for a walk/run/bike in the Pacific Spirit Park. It really is like having a forest in your backyard! For the more liberal souls, visit Wreck Beach. There is a clothing-optional section that is clearly marked with signs. The beach is located at the bottom of a very long flight of stairs, so this is not recommended for those who are not in good physical condition. Check out the trails in the Pacific Spirit Regional Park. Click here to find the Park and Trail Map. – Point Grey Fiesta in mid-June (Trimble Street and West 8th Avenue @ Trimble Park aka West Point Grey Park) – Celebration of the start of summer.